There is a modern, upscale renaissance of classic Adirondack-style lodging, energized by the natural allure of surrounding mountains; an elaborate combination of dark wooden beams, natural stonework, high ceilings and intimate fireplaces; subdued jeweled tones in a rustic palette of greens, browns, yellows and reds; undisturbed views of lush woodlands and mountainous terrain. Could this be Colorado, Washington, possibly Minnesota? As a western New Jersey resident and frequent traveler, I always feel an unfortunate edge of surprise when I see a look of disdain roll across another’s face when I tell them I’m from the Garden State. Little do they understand, New Jersey truly is full of natural beauty in its mountainsides, lakes, forests and farmland. One such place that represents the natural luxury that exists within our little state is Grand Cascades Lodge, a year-round retreat. 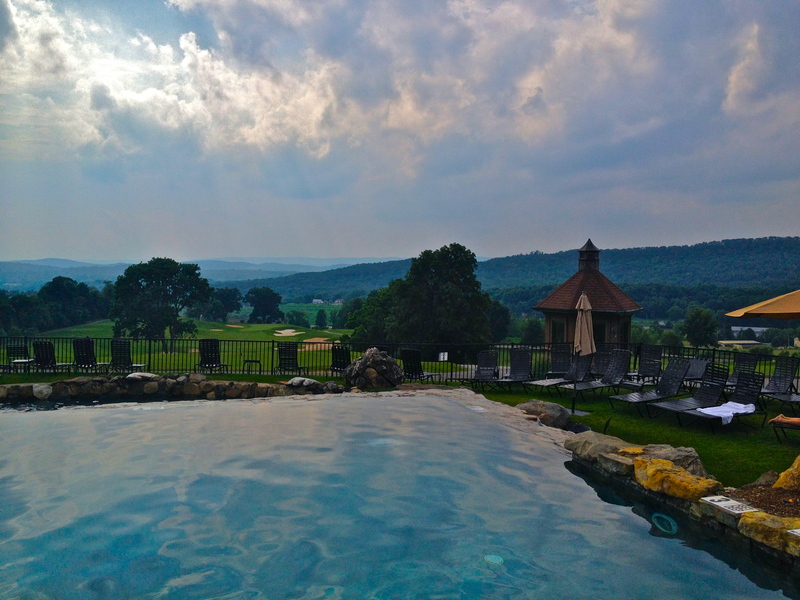 Located in northwest New Jersey as a part of Crystal Springs Resort, Grand Cascades “reminds visitors why New Jersey is nicknamed ‘The Garden State,’” said Michelle Abate, director of marketing for the resort. Even as one accustomed to the outdoors, I, too, would soon discover this during my stay at the Lodge. As the newest sister hotel to Mountain Creek and Minerals Hotel, both a part of Crystal Springs Resort as well, Grand Cascades Lodge was opened in 2007 and introduced as the most lavish option in the resort trifecta. Abate said, “[We] wanted to take our level of offerings to a higher level. Grand Cascades Lodge brought a new level of sophistication and elegance to Crystal Springs Resort, and is a fitting lodging option for guests wishing to enjoy our finest amenities.” As a frequent visitor to Crystal Springs Resort’s other family-oriented hotels, before I arrived, I wondered how different the Lodge could be from its hotel sisters. She wasn’t kidding. Even though I’m not a golfer, I was never bored during my stay. Instead, I enjoyed breathtaking views from the Vortex Pool and Biosphere, reveled in a glass of wine on the firepit on the deck with fellow guests, and sampled fine meals from the plethora of restaurants on-site. It was certainly a drastic twist from my usual weekends spent at the Jersey Shore, but I was pleasantly surprised at the calming quiet, verdant scents, and various activities that, shockingly, didn’t need a beach badge. From miles across the mountainside, Grand Cascades Lodge is easily distinguished in the area, featuring a commanding yet romantic design. Driving up to the front of the Lodge, I was left breathless from the striking landscape that stretched before me. Inside, accommodations followed suit, incorporating the Adirondack style within hushed woodland themes in the colors, materials and furniture, making for a luxurious yet rustic feel – bewitching even for someone as myself, who is used to these themes. Much like the medley of offerings and activities found in the great outdoors, Grand Cascades Lodge doesn’t seek to define itself as the premier destination for one type of visitor but yet classifies itself as catering to couples, families or groups of friends looking to indulge in a first-class leisure experience. Examples are their indoor and outdoor tropical pool complex, plethora of dining options, two on-site golf courses, spa services and outdoor activities. It would be common to see a wife at the spa, her husband at the golf course, and kids at the pool – during my stay, it seemed like there was something for everyone. “Mother Nature’s wonders clearly influenced the design of the Biosphere,” Abate said. This $7 million intricate indoor pool complex includes an abundance of tropical foliage, chamber-like Jacuzzi, steam room and sauna, underground aquarium, vortex pools and caves and German Foiltec glass roofing system that allows UV rays to penetrate for year-round tanning. This provide a great way to enjoy surrounding views of snowy peaks in the depths of winter. Since it was summertime, I also lounged at the outdoor pools, which showcased astounding perspectives over infinity edges. At both indoor and outdoor pools, I was surprised that there was no need to fight for a chair. Instead, I could enjoy the quiet, space, and views in both sunny and not-so-sunny weather with a drink to match. However, a natural feel isn’t just left for views. Crystal Springs Resort holds a partnership with Green Valley Farms in Wantage, New Jersey called “Farm Fresh to the Resort Table.” Both chefs and farmers share knowledge on planting, harvesting and raising livestock to hold and raise their own bunnies, chickens, eggs, and produce, including sweet corn, zucchini, tomato, squash, cucumber, potatoes, beans and carrots for resort restaurants. 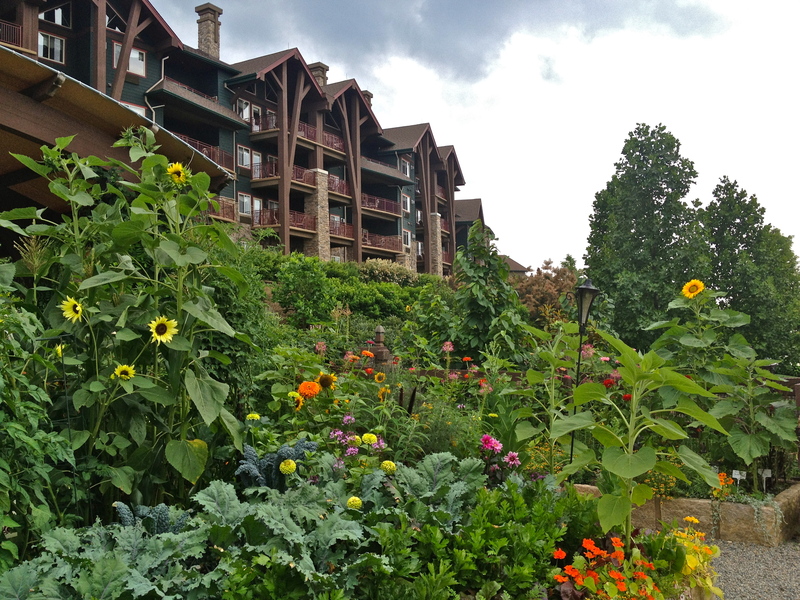 This program most evidently comes into play for Springs Bistro, which features Tuscan-inspired cuisine set against a backdrop of the organic Chef’s Gardens, containing the Lodge’s own herbs, flowers and vegetables. 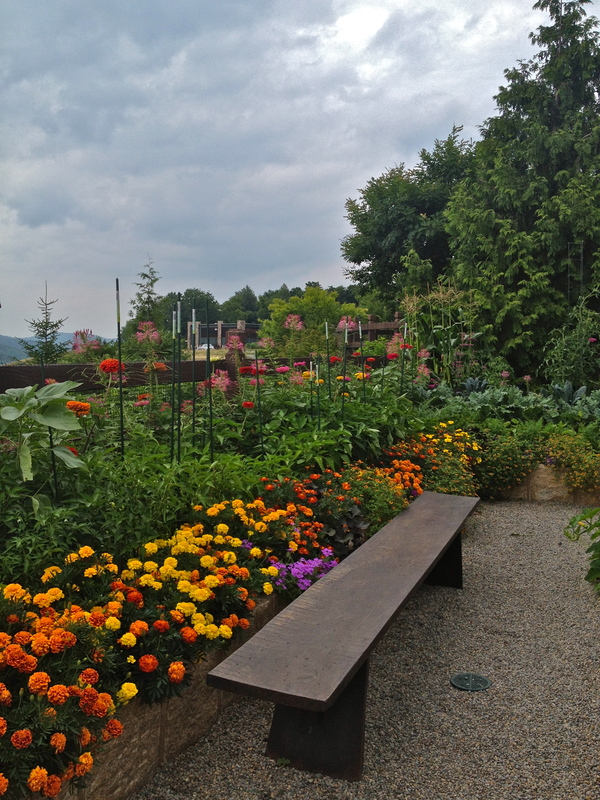 Instead of walking back into the kitchen to prepare meals at the Bistro, chefs literally walk into surrounding gardens, pick proper ingredients and prepare their creations in front of you at the dinner table. When I am looking for a truly luxurious experience, I was relieved to know I ate well and stayed well. There is nothing quite like knowing that you can see exactly where your food was grown. Those looking for the most premier of dining options head to Restaurant Latour, one dining options at the Lodge. 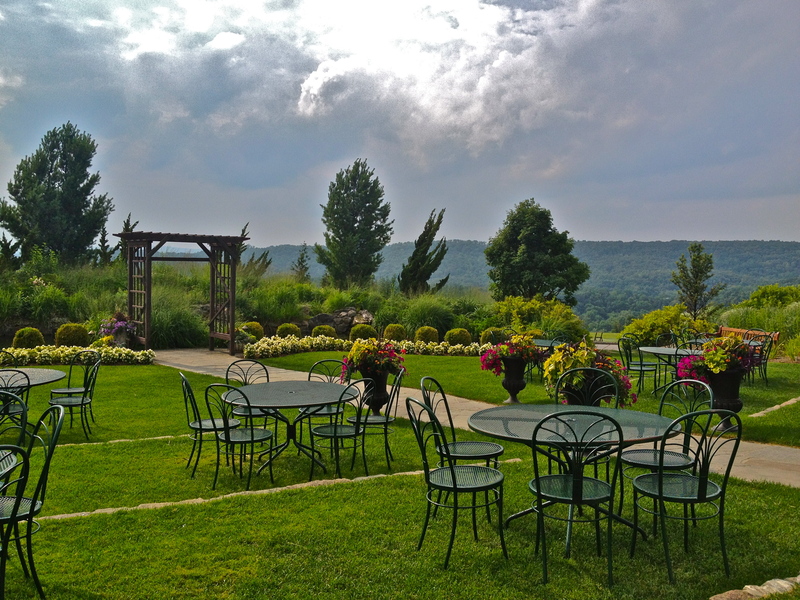 There, guests view the all-embracing spectacle of the Kittatinny Mountains, accompanied by a three or seven course meal. This restaurant is a four-time winner of Wine Spectator magazine’s Grand Award of Excellence, has been “Recognized for Excellence” in Zagat NJ Restaurants for 2009-2010 and has been rated as “Excellent” by the New York Times. Although I was disappointed that I did not get a chance to eat at Restaurant Latour, due to its days of operation, I did dine at Crystal Tavern, which characterizes itself as an “upscale pub.” Luckily, it was even more than this – there is no resisting enjoyment of a fine breakfast with French-pressed coffee right over a view of the Kittatinny Mountains. 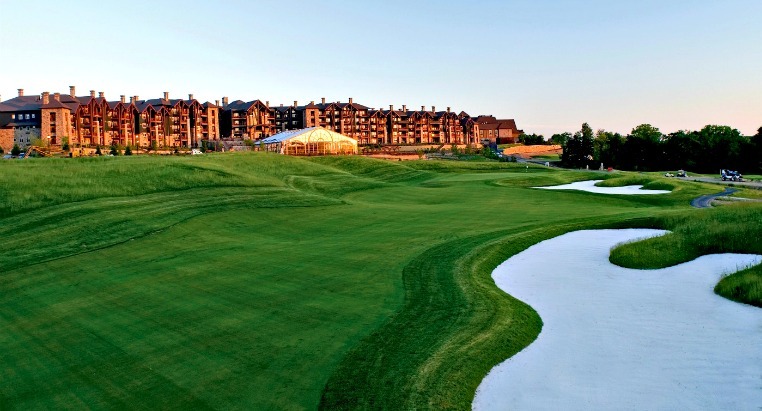 Grand Cascades Lodge is also home to the newest and seventh golf course in the Crystal Springs Resort family, Cascades, with 117 holes designed by prominent golf course architect Roger Rulewich of The Golf Group. 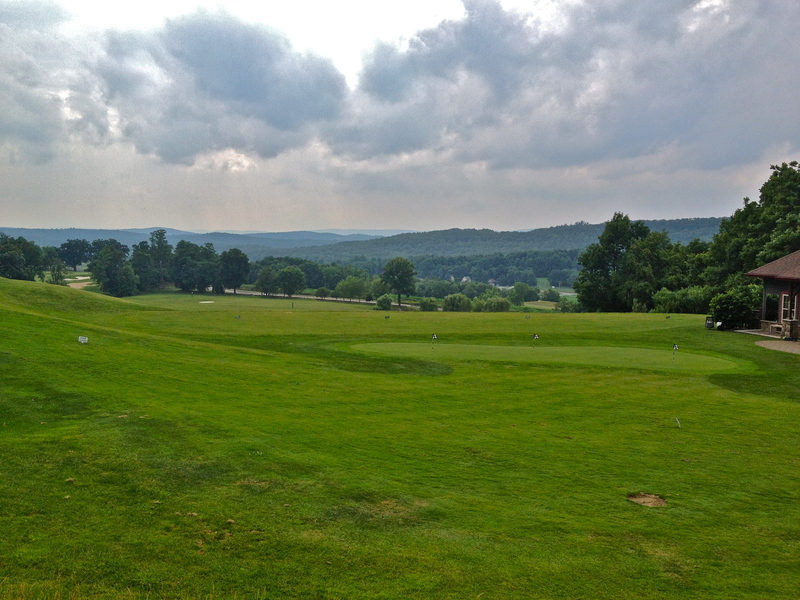 It is home to Wild Turkey golf course, also designed by Rulewich, which was named one of New Jersey’s Top New Public Courses by New Jersey Golf Course Owners Association. Also, as a green initiative, each of the Crystal Springs Resort golf courses are designated as a “Certified Audubon Cooperative Sanctuary” by the Audubon Cooperative Sanctuary System. Even though I am not one who enjoys a golf game, its refreshing and comforting to walk by those practicing their swing over a beautiful green golf course. Reflections Spa, ranked #19 in Spas of America’s Top 100 Spas, is also onsite at the Lodge. It was impossible for me to not notice immediately its décor such as 8,000 quartz crystals ceilings, fanciful water features throughout the corridors, and fire-inspired art glass. Reflections Spa also boasts elements of the local environment, such as “The Wine Cellar,” which implements treatments using wine and grape seed extracts in spa services. Other services include hair and nail treatments, cosmetic enhancements, massages, facials and body treatments. Being that the Lodge is located in rural northwest New Jersey and features various inspirations from the surrounding terrain, there are also a plethora of outdoor activities, both on-site and in the nearby locations encompassing Crystal Springs Resort. The Adventure Center at Mountain Creek holds nature hikes, guided mountain bike rides and mountaintop horseback riding. Within walking distance of the Lodge, guests can also visit the Crystal Springs Quarry for trout-stocked fishing. 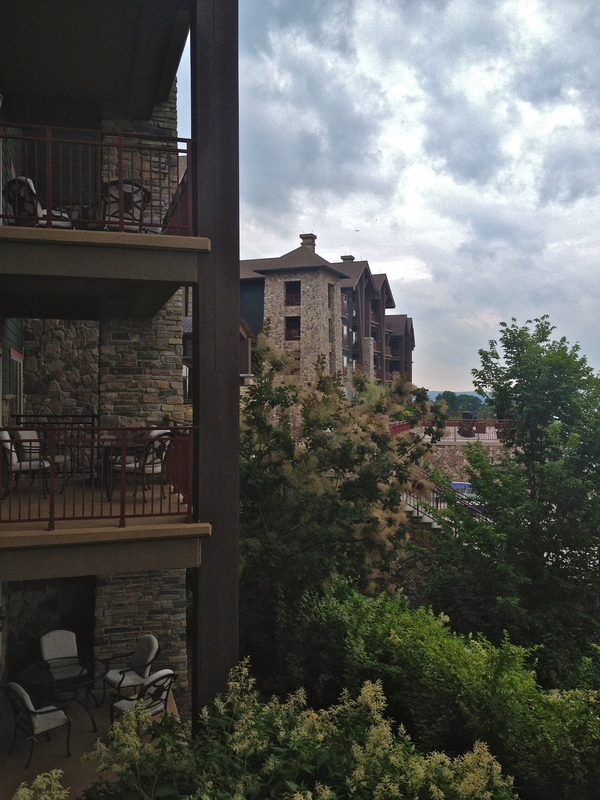 With so much going on, what guests would enjoy Crystal Springs the most? Abate said, “An ideal visitor is someone searching for a mix of serenity and adventure, without the stress of traveling too far. Crystal Springs Resort offers a breadth of world-class amenities.” As someone who fit that mold, I was pleased to get away for a night, only an hour away from my home. How many people can say that about their family vacation?